Folded Dimension: (w)12.625" x (l)29" x (d)3.5"
5-Position disk clutch w/ bullet nose pull knob. 1x1" Tubing. Height adj. : 27-38", base spread: 11-31", 90 lbs. capacity. Bolted. This stand follows the same design as the KS7902, but adds a 3rd tier for even more keyboards and versatility. 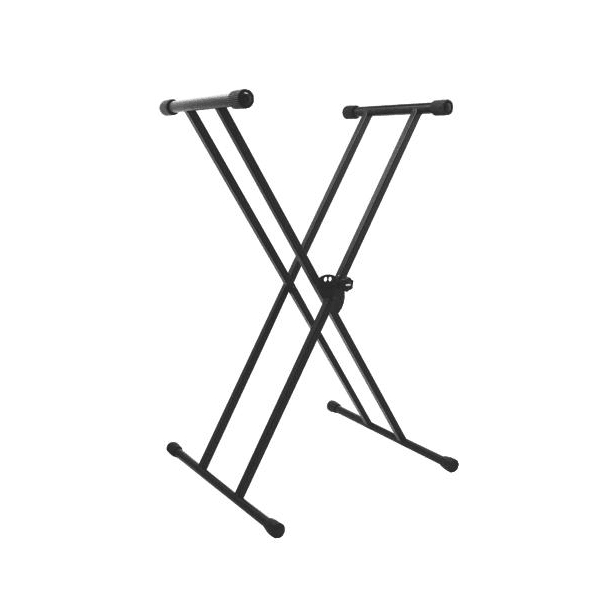 This versatile A-frame keyboard stand lets you adjust the height and angle of your keyboards until they are just right for playing, whether you are standing or sitting. 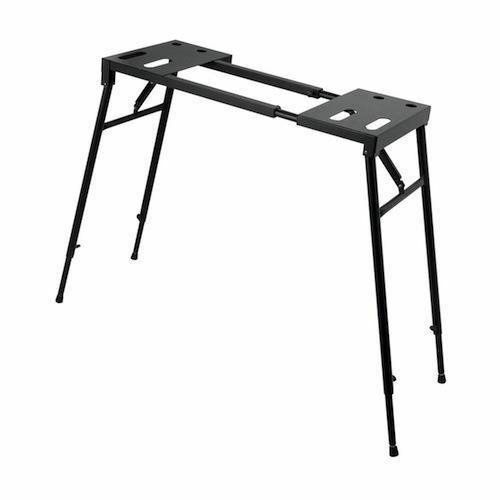 This lightweight, easy to carry, 48” wide stand is an outstanding value for anyone with a multi-keyboard setup. 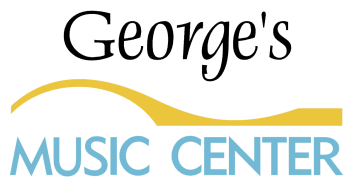 Many of today’s musicians like things simple and affordable. That’s why we offer this popular Single-X with its classic bullet-nose pull knob and upgraded, stronger 1” square tubing. Lok-Tight construction makes for easy assembly. Same features and design as KS7191, with Lok-Tight construction. 200 lbs. capacity. Same as KS7191, but with Lok-Tight construction and a 1” frame. 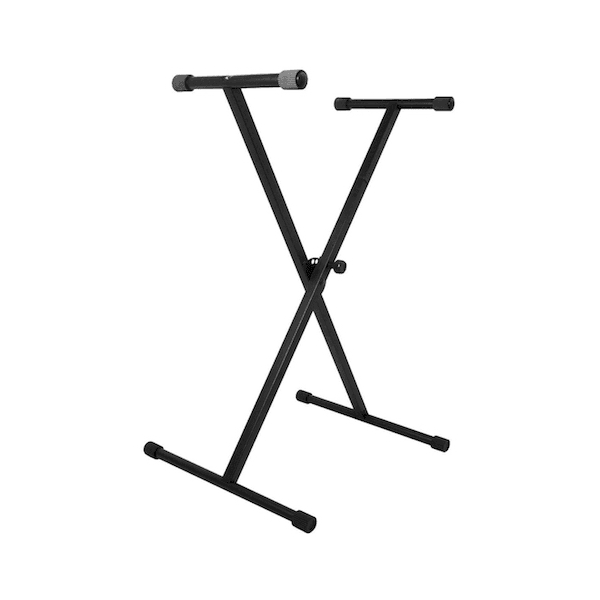 With its universal mounting attachment, this tilting tier should be everyone's first choice for adding multiple keyboards to any X-style keyboard stand with round or square tubing. 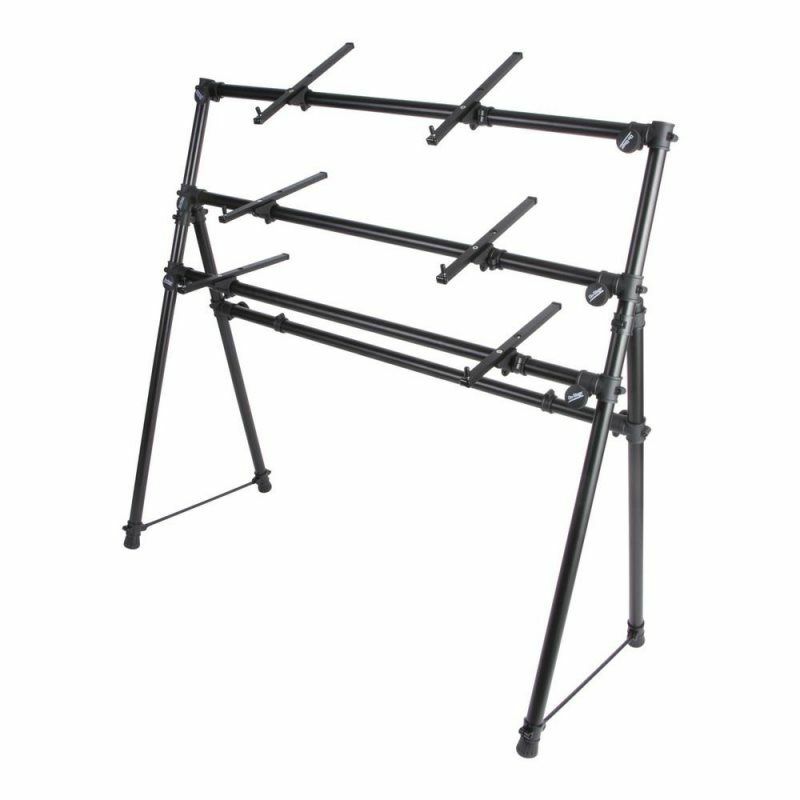 This universal unit can be stacked on top of a 2-tier stand... making it a 3-tier stand! 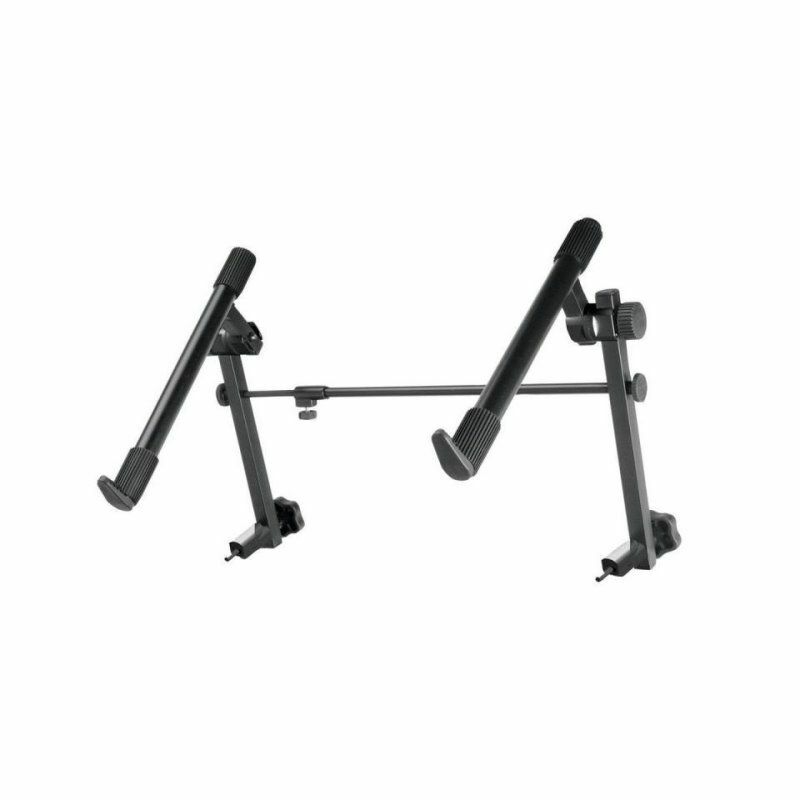 Includes internal attachment to fit ANY keyboard stand with either 1" or 30mm round or square tubing. 60 lbs. capacity. 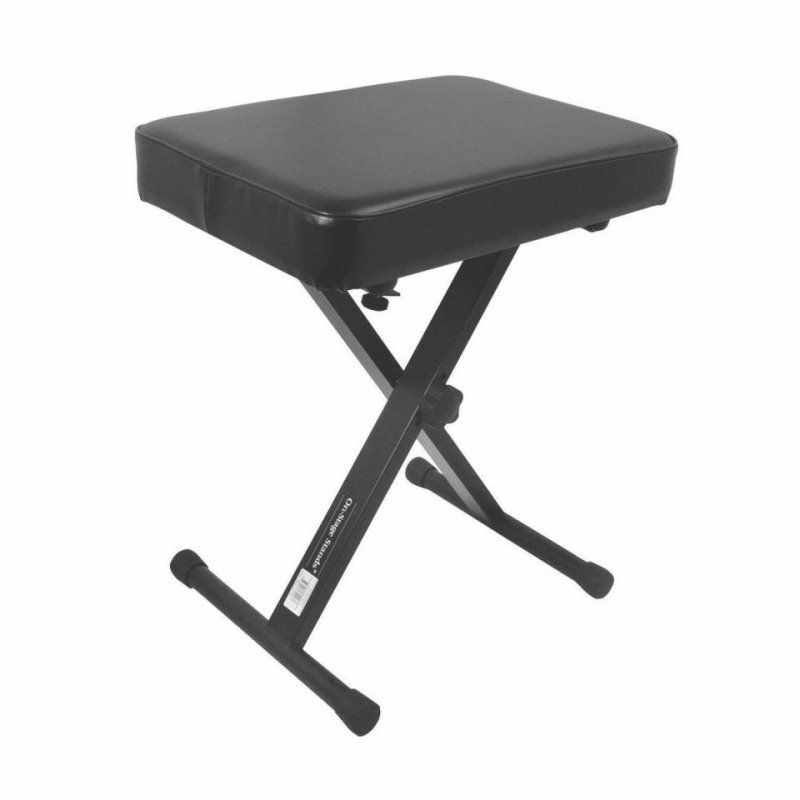 Legs fold flat for shipping, black vinyl. 2" padded seat, 300 lbs. capacity.